We started our week with some bad news. Bob Clarke of Profundo informed us that Terry Combs, proprietor of Sound Mind Audio in the Dallas area, has passed away. Terry was easily one of my favorite two or three dealers in the country. He loved music, had a lot of fun with what he was doing and always passed on his enthusiasm to his customers and everyone else he met. That was especially true for 78rpm records--Terry had a wonderful collection and a dedicated system to play them. I interviewed Terry for the March 2011 issue of Perfect Sound Forever (which you can read here), and I also blogged about it right here. Terry was the only dealer I knew who would get up and dance while customers auditioned systems (back in the adjoining room, so as not to disturb them). He's also responsible for one of my favorite quotes about high-end audio: "If your system doesn't make you cry, it ain't worth that much money!" Well said, Terry. You were truly one of a kind. All I had to do was mention that I was about to hear the new Rega RP8 turntable from Rega at the latest Whetstone Audio Hootenanny and my mail box was suddenly flooded with e-mails. "Let me know what you think!" 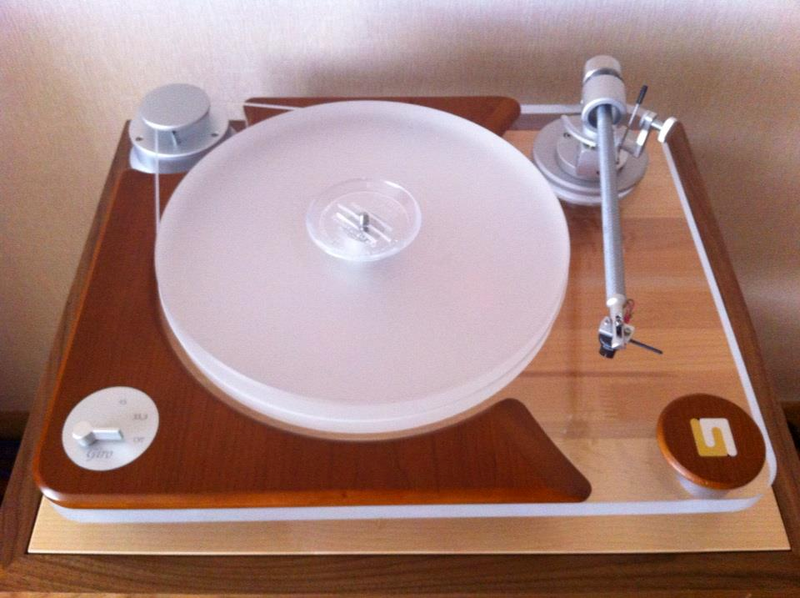 "I've been waiting to hear this turntable forever and I can't wait for your impressions!" This morning there was even a "Dude, what gives? Let us know what you think already!" Dude, I just woke up. Chillax. It's just a turntable. Evidently the RP8's appearance at Whetstone was a big deal--we were informed that this was only one of three or four out in the world as of yesterday. Rega UK rep Paul Darwin and US distributor Steve Daniels of Sound Organisation were there to explain the finer design points and then play plenty of music for the sizable crowd. It was probably Brian Di Frank's largest hootenanny to date. 1. The new RP8 will retail for $2995. 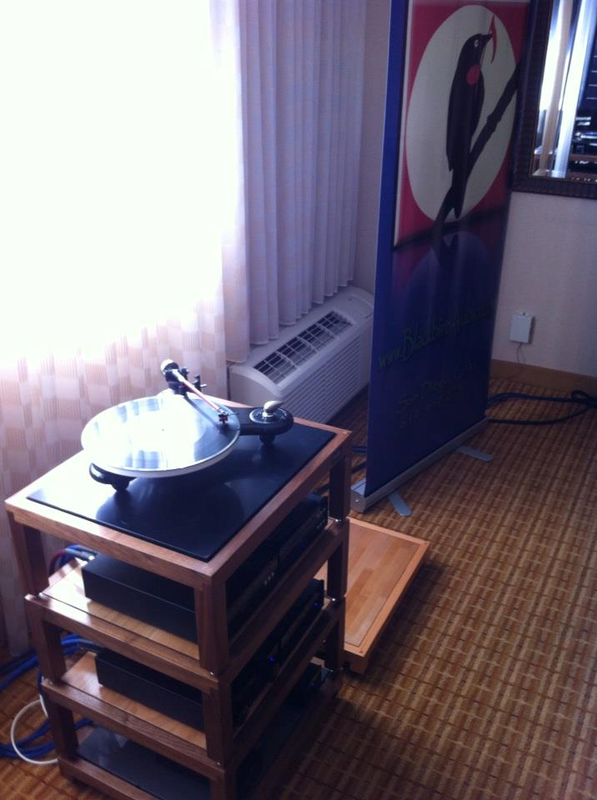 It will be sold as a package with Rega's Apheta cartridge for $3995--a savings of about $800. 2. The removable outer plinth, which reveals the inner "skeletal" 'table, is designed to support the dust cover. When in place, the outer plinth is completely decoupled from the inner 'table. 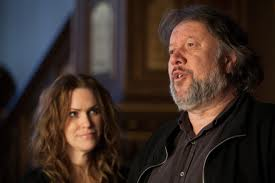 Paul Darwin reported that "the jury was still out" as to whether there was a sonic difference between the two configurations. He did pass the outer plinth around to the group, and it was exceptionally light. The new material for the plinth weighs slightly more than styrofoam, but it's several times more rigid than the plinths in the current line. It's amazing stuff. 3. The platter is similar to the two-piece glass one found on the current RP6, except that it's made from three concentric pieces. This increases the flywheel effect, which reduced strain on the motor and increases speed stability. 3. While the RP8 replaces the old P7, the venerable P9 has also been removed from the product line. That's because an RP10 is on the way next year. In fact, Paul mentioned that there's a cost-no-object 'table that Rega built solely for research these new designs, and that may or may not make it to the marketplace. 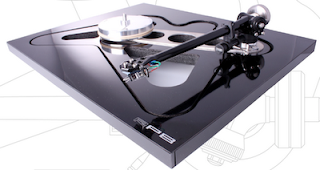 There have been rumors of a Rega supertable for some time now, and it was fun to hear Paul confirm this. 4. Someone in the crowd asked how the new RP8 compares to the P9 sonically, and Paul said he didn't want to come out and say that the significantly more affordable RP8 kicks the former flagship "into the weeds." Instead, he urged P9 owners to compare the two 'tables and come to their own conclusions. He also added that despite the fact that the RP8 is the current top-of-the-line, it will eventually be positioned as the entry level model of a premium line of turntables that are very different, in both design and performance, than the traditional RP1, RP3 and RP6. In other words, the difference between the two lines is very distinctive. So how did it sound already? Well, it's pretty difficult to get a precise feeling for the RP8's performance in a big room full of people. My initial impressions were strong enough for me to say that I want one--or at least I want to spend more time with one in a familiar system. I've owned four Rega turntables in my life, including the P3-24 I currently use as a second 'table, so there's no question I enjoy their products (I have been called a "Rega Fanboy" more than once, most notably from the 1200 Army.) But from my limited time with the RP8, I do suspect this is a major leap forward for Rega designs, and that RP8s will start flying out the doors once dealers get them in (Brian already ordered a few). The RP8's presentation was clear, strong and forward, with no sense of the leanness you might expect from a 'table with such a lightweight plinth. I suspect it will probably outsell every other Rega 'table model ever made except for the Planar 3 and its variants. You'll be hearing a lot about this turntable in the near future. New Rega RP8 at Whetstone Audio Hootenanny! Tomorrow night, Colleen and I will be visiting Whetstone Audio once again during Brian Di Frank's latest Hootenanny. This time, Rega will be up and they're debuting their latest turntable--the striking, surprising new RP8. "I’m terrible at keeping secrets!! The kind folks at Rega UK and Sound Organisation will be bringing the very first RP8 to the Rega Hootenanny on October 26th at 6pm. Come hear what all the hoopla is about! Drink a beer or few!" I have a couple of questions for Sound Organization, such as why the RP8 has a detachable plinth and what are the sonic benefits of both set-ups? I've also noticed that the venerable Rega P9 has been removed from the Rega website, so I'll be asking about its future. The RP8 can't really be a replacement--it retails for only $2995 while the P9 is $5000. It sounds like the RP8 will be more of a replacement for the P7, and those rumours about an RP10 are true. The Rega Hootenanny will be at Whetstone tomorrow, October 26, starting at 6pm. The address is 2401 E. 6th St., Austin. See you there! When Chad Kassem of Acoustic Sounds tells you that a record will change your life, you tend to reach for your wallet. That's exactly what I did last week at the Rocky Mountain Audio Fest after Colleen and I visited Chad at the AS booth in one of the big ballrooms on the ground floor. Colleen and Chad have known each other for years, so I started rummaging through the bins for LPs--I like to blow my allowance for one really nice LP at every trade show I attend--while they caught up. I had it narrowed down to about thirty or forty awesome possibilities when suddenly I found Sam Cooke's Night Beat in one of the bins (the $50 bin, natch). 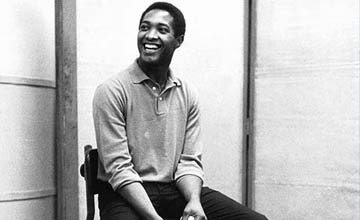 I had rekindled my love and admiration for Mr. Soul last year when I reviewed the HDTracks download of Ain't That Good News for Stereolist, so naturally I picked up Night Beat and noticed it was the 2009 Analogue Productions 2-LP reissue cut at 45 rpm. That's when Chad stopped talking to Colleen and looked over at me as if I'd just picked up a loose Faberge Egg off the carpet. That's when he said what I said he said. And that's when I broke out the credit card. We took it back to our RMAF room and showed everyone else what I had purchased, ostensibly for demonstration in our system. Everyone nodded solemnly in agreement. Bob Clarke, who has a gift for understatement, said, "Yeah, that's a great one." My copy of Night Beat lost its virginity on one of the best-sounding analog rigs I've had the privilege to play: Unison Research Giro turntable and arm, Transfiguration Phoenix cartridge and PureAudio Vinyl phono preamplifier. 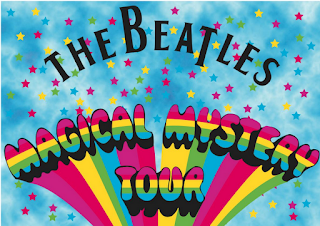 By the end of the first song, "Nobody Knows the Trouble I've Seen," I realized that this 1963 classic was going to be used at a lot of trade shows from that point on. In fact, it was the only LP I played during the last hour or two of the show. 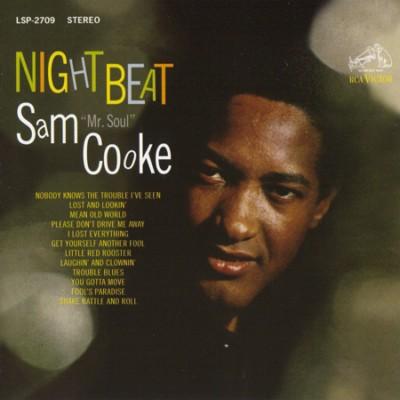 While Night Beat ranks among the most amazing vintage albums in my collection, right up there with my DCC pressing of Nat King Cole's Love Is the Thing and the Classic Record reissue of The Royal Ballet Gala Performances, at times this album shrugs off the studio artifacts from fifty years ago and sounds absolutely modern in its clarity and immediacy. The Nat King Cole album, for example, truly shines in the way it projects Nat's vocals into the room with authority and presence, but the string orchestra sounds compact and slightly canned in contrast. But listen to the round, full double bass in songs such as "Lost and Lookin'" and "Fool's Paradise" and you can feel the flesh on the strings and the air inside of the wooden body of the instrument. In "Mean Old World," the tiny bell rings true as if the percussionist was sitting next to you, keeping time in person. I haven't even mentioned Sam's hopeful, transcendent voice. Suffice it to say that it's relaxed and effortless within the mix and doesn't sound shoved forward as in many recordings of the time. Fifty bucks isn't exactly cheap, but this is one of the rare instances where I've laid down some serious green for an LP, listened to it and said, "It was worth every penny." Think about every time you bought something rare on eBay or at a used record store and then sighed in disappointment once the needle hit the groove. 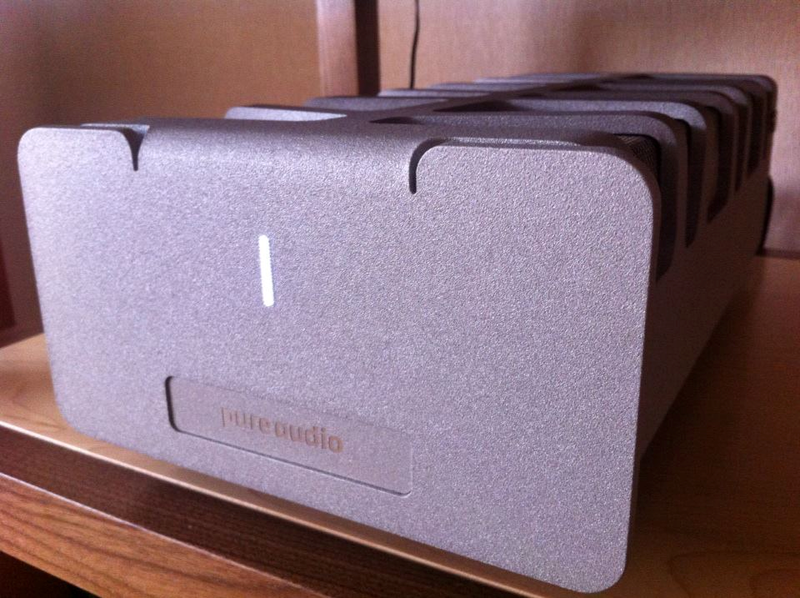 This is a sure thing, and if you're an audiophile who doesn't already own this, you should. Thanks, Chad. Nostalgic trends usually take about two decades to bloom. In the '70s we became obsessed with the '50s (Happy Days, Sha-Na-Na), in the '80s we started waxing rhapsodic about the flower children and in the '90s we started making jokes about the downright goofy excesses of the '70s. At the end of the century we started putting the '80s on a pedestal--or under a microscope, depending on your sense of irony--especially in the world of music. Bands from every genre seemingly re-discovered synthesizers and drum machines; the sampling techniques that were employed were merely subtle winks to the audience that we were still in the 21st century, but twenty-year-old music is just as cool as ever. So let's all nod knowingly in unison. It's seems like I've said all this before. So many alternative bands these days are defined by the dates they type into their time machines, and over the last year I've heard the resurrections of everyone from The Ventures to Kiss to the Smiths. The Winter Sounds--a quintet that alternately claims New Orleans, Nashville and Athens, Georgia as its home--has pulled off an interesting time travel twist in its new CD, Runner. They've ventured into that gray area of nostalgic tribute that comes when enough time hasn't passed for homages to become obvious. Think about it...now that we're in the 2010s, what are we going to start saying about the '90s? Will we start growing goatees (I haven't shaved mine since 1995) and start wearing flannel and knit caps (I can't wait since I found both incredibly comfy)? I remember 1990, and how all the alternative genres started to merge and everything felt simultaneously cool and possible. A band could blend punk, metal and synth-pop and still sound fresh, and the Manchester Sound was absolute theft, albeit a swashbuckling one. The Winter Sounds still holds onto the late '80s with its earnest anthems filled with synthesizers and electronic drums, but it can also borrow from the fullness and honesty of the early '90s, stripped back and returning to the rock and roll basics that would lead to bands as good as Blur and as bad as Oasis. Throw in an equal measure of Anglo-folk from The Waterboys and maybe Big Country--lead singer Patrick Keenan will remind you of a half-dozen British singers from the '80s--and your time machine is set and ready for adventure. 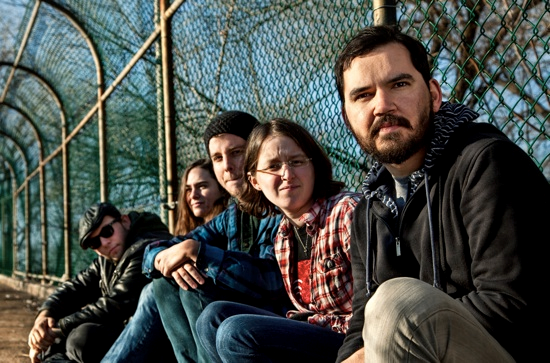 Where this band winks to the audience is in its decidedly modern production (executed brilliantly by Scott Solter, who has worked with Spoon, St. Vincent and Okkervil River, all personal favorites), and its willingness to shift suddenly out of a song for a sudden lyrical tangent. 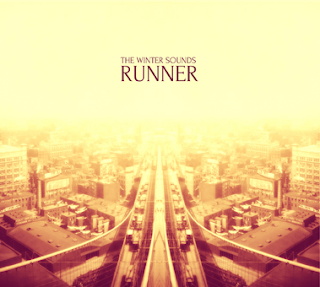 The Winter Sounds is an exceptionally ambitious band, and exceptionally well-oiled as well since they boast about the 500 shows they've performed in the last five years. It's a trademark of these times that a new band like this can sound so accomplished in its beginnings, something bands weren't generally doing in the '80s and '90s. It will be fascinating to see what the Winter Sounds will do next. A blog article I wrote some time ago, which you can read here, continues to get a lot of recognition on the Internet--most recently on Michael Fremer's Analog Planet site. Many people object to my comprehensive damning of the IKEA Expedit system and note that in the above pic it was obviously used the wrong way. I have fielded and mostly rejected comments that support the use of the Expedit for storing records, and these supporters mostly use the old canard that "I've been using it and it works fine for me." That argument, of course, is fallacious because it ignores the fact that for some, not all, the Expedit has resulted in disaster. "Note that the commentary blissfully ignores the issue of the orientation being wrong, it just damns the whole EXPEDIT product unecessarily. Nevertheless, be wary of only spending $100 to store several hundred dollars (or more) worth of LPs, not to mention your health." 1) IKEA instructions illustrate that the dangerous way is the right way, as these shelves are clearly NOT designed to hold the weight of an extensive record collection. 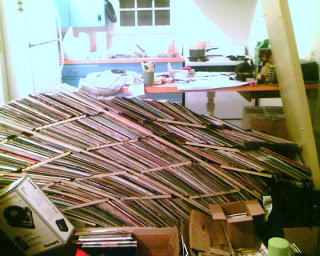 If you have just a few LPs and you spread them out judiciously, then such disasters will probably not occur. Load these up to the rafters and the Expedit will eventually crumble and fold. 2) I used the Expedit the so-called "right way," and after a few years the dowels and the screws started to work loose. I quickly unloaded the LPs and therefore saved my collection. These shelves are made out of laminated MDF, not solid wood, and all joints will loosen over time--especially with a heavy load. My current LP rack is made from 2" hardwood with dovetailed joints. It will outlive me, and probably my great-grandchildren. With the Expedit shelves, along with everything else I ever purchased from IKEA ( a lot, unfortunately), you'll get a few years at most. 3) Those who insist that the IKEA Expedit shelves are a cheap and effective way to store LPs are, once again, defending a purchasing decision they have made--much like the 1200 Army defends the Technics SL-1200 and says, "It sounds great to me" without actually listening and comparing it to other turntables. Not every Expedit will fail. But some will. Again, I have to ask you if it's worth risking your entire LP collection in order to save a few bucks. Don't quibble with the above photograph. The Expedit will fail either way. I've heard from too many people who have told me that their IKEA furniture ruined their record collection. Even IKEA is on the record as saying the Expedit is not designed for LP storage, and they offer a more robust shelving system as an alternative. If someone tells you the Expedit is okay for records and recommends that you buy one anyway, ask them how much of a commission check IKEA is sending them. 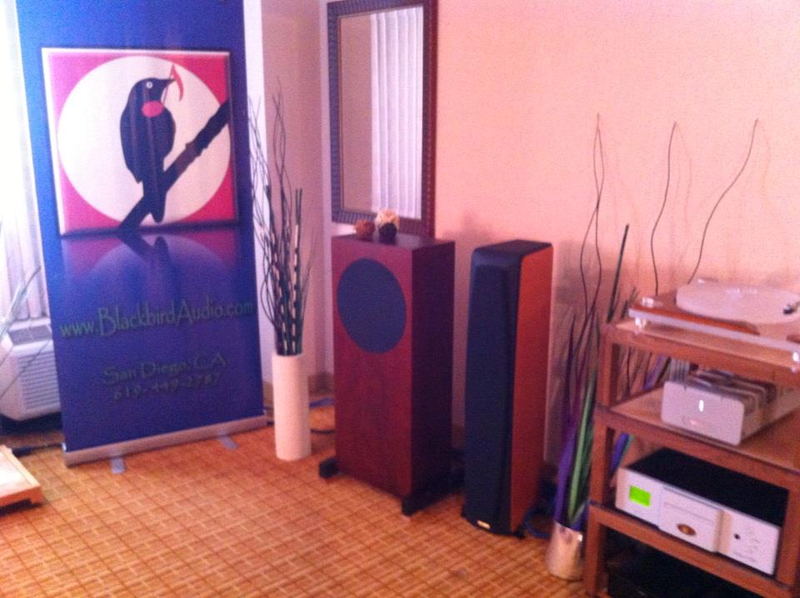 Here are some great pics, courtesy of Dan Muzquiz of Blackbird Audio Gallery, from yesterday's set-up day for the Rocky Mountain Audio Fest 2012. We're in Room 1113, so please stop by and say hello! 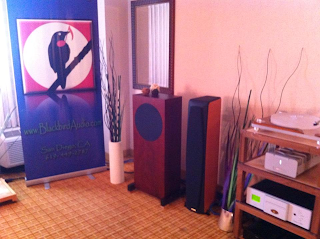 As I said, there will be two separate systems in our Blackbird Audio Gallery room at RMAF 2012. Here's the system Bob Clarke of Profundo is bringing: Trenner & Friedl Pharoah loudspeakers, Heed DA/DT CD transport and DAC, Heed Obelisk PRE/PX linestage with power supply, Heed Obelisk PM monoblock amplifiers, Heed Quasar phono preamplifier and Cardas Clear cabling. 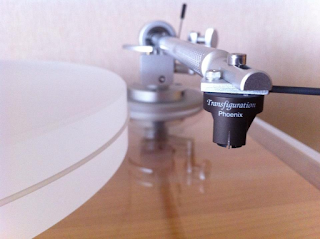 Dan Muzquiz is also bringinghis Funk Firm Vector/FXR turntable/tonearm with the Transfiguration Axia cartridge. Great sound in Room 1113...be sure to drop in! The Hoff Ensemble's Quiet Winter Night on Blu-Ray...and LP! Ladies and gentleman...tonight we have the most heavily anticipated match in audio history to decide the Hi-Rez Champion of the World! In one corner we have the defending international champ, an LP played with a precision-made $4000 turntable/arm combination that was designed in Italy and built in one of the finest factories in all of Europe, topped with an exciting new $4500 phono stage from New Zealand from one of that country's most gifted and beloved designers, all matched with a $4250 cartridge made in Japan by Zen masters...the Unison Giro/PureAudio Vinyl/Transfiguration Phoenix! In the other corner, the Killer from Korea, the challenger, a Blu-ray audio disc played $68 Samsung Blu-ray player which was purchased at my local supermarket! I've been trying to get a fix on the ultimate sound quality advantages of the emerging Blu-ray Audio format, but as you can see I've been struggling with the hardware end of things. While I wait for a decent outboard DAC to arrive on my doorstep, I'm stuck with the Samsung. Then again, as I'm playing these Blu-ray discs on this modest player I'm struck by the musicality and often feel that I'm not too terribly far off the mark sound-wise. 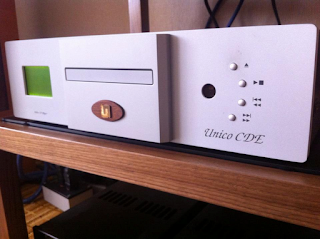 The sound quality of the Samsung isn't quite up to the detailed, warm and expansive sound from my Unison Research Unico CDE CD player, but it absolutely trounces the sound of a relatively modest Denon DVD/CD player I have on hand. These Blu-ray discs have a smooth, relaxed and pristine sound that might occasionally drift into a glassiness that might obscure detail, but the overall sound quality is the exact opposite of the harsh digital sound we experienced in the '80s. Now that my Blu-ray Audio collection has expanded to five discs, I now have the opportunity to compare two of them directly with the vinyl version, thanks to Morten Lindberg of 2L Recordings. Not only has he sent me the Blu-ray version of his Souvenir recordings (reviewed here and here), he sent me both the vinyl and Blu-ray Audio versions of his new acoustic jazz project, Quiet Winter Night, as performed by the Hoff Ensemble. I received the LP about a week before the little silver disc, and as usual it's a--take a deep breath--DXD 352.8kHz/24bit Direct Metal Master 180g audiophile grade vinyl 33 1/3 rpm recording. So far I've been extremely impressed with these records. They're extremely revealing and detailed and will definitely not remind you of your warm, gooey RCA "shaded dogs." But if you have the system capable for that level of revelation, you'll hear plenty of new things you've never heard before. So, what does acoustic jazz from Norway sound like? 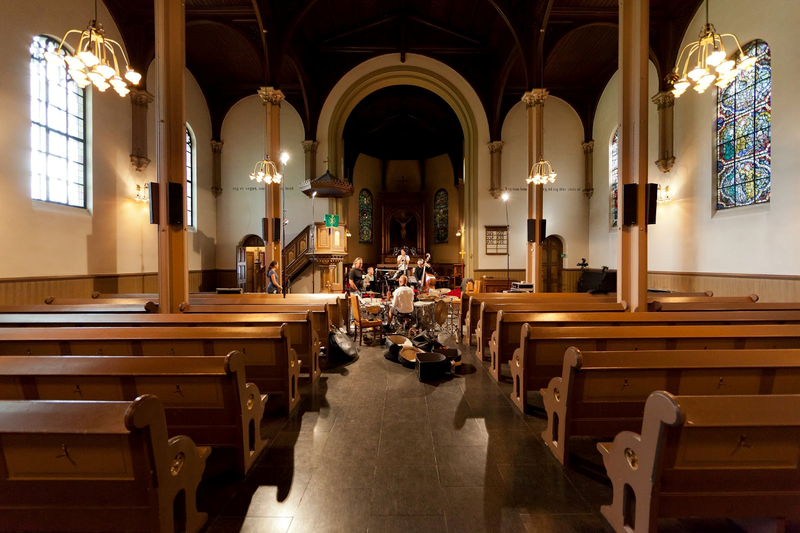 Despite the presence of unfamiliar instruments such as a nyckelharpa, overleir and hardanger fiddle, it sounds just like acoustic jazz from the US. The Hoff Ensemble is basically a jazz sextet matched to another sextet of revolving vocalists. It's an even mix of songs and instrumental tracks, more pretty than edgy, and if you're too-cool-for-school you may not find these romantic, intimate songs enough of a challenge for your sharp-elbowed sensibilities. In other words, a casual first listen is not a good idea. Where Quiet Winter Night elevates itself is in the complex moods it creates slowly over time, how sweetness replaces the usual wintry melancholia, how the folk elements sneak in and take over. Remember the soundtrack of Fargo? Remember the main theme, and how the fiddle's melody seemed to say so much all at once? Throw in a few musical cues from Pat Metheny and Bill Melendez and that description will get you halfway to Quiet Winter Night. I really don't want to make too much of these sonic differences. Until I can grab a digital rig from the likes of CH Precision, dcs or Esoteric, I have to blame the hardware. I have had people in the industry tell me that 2L's vinyl and Blu-ray recordings sound almost exactly the same. They should, considering they're sources from the same hi-rez files. 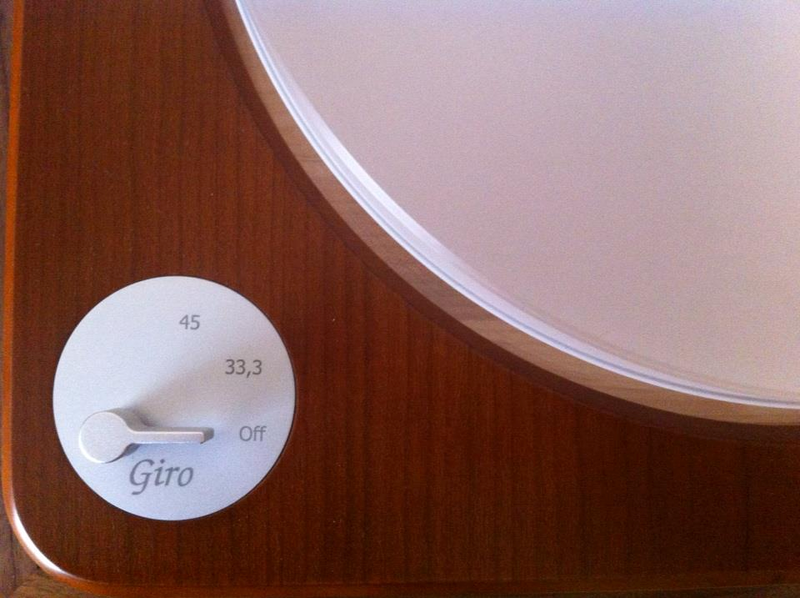 If anything, the vinyl adds artifacts that are not in the original masters...pops, clicks, etc. But I still hear that added sense of spaciousness I love so much. At any rate, I know I sound like a 2L cheerleader at this point. So far I've loved everything I've heard. I'm headed to the Rocky Mountain Audio Fest in a few days, and I'm definitely bringing all my 2L vinyl recordings to show off the Giro/Vinyl/Phoenix combo. No, I'm not bringing the Samsung. But after hearing just how good this lowly player sounds, I want to explore some new hardware options, whether it be just a DAC or an all-in-one player like the new Oppos. Maybe next year I'll be playing lots of Blu-ray discs at trade shows. 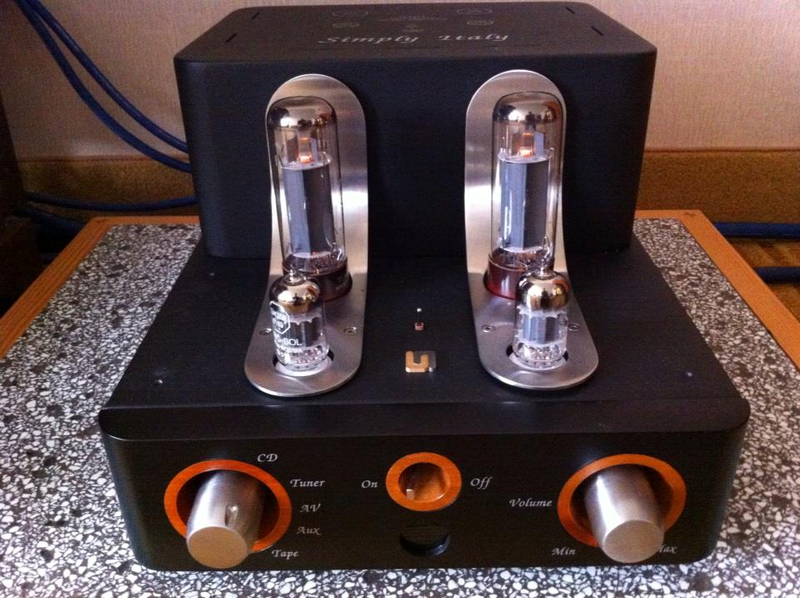 I'm still intrigued with this new format, and we'll see if it's still around for RMAF 2013. It's that time of year again...time for the Rocky Mountain Audio Fest, one of my favorite trade shows in the audio industry. This particular gathering has really become a favorite of a lot of audiophiles because it's not as business-centered as the Consumer Electronic Show in Vegas (which isn't even open to the general public). The atmosphere is more friendly, less stressful and generally just more fun for both attendees and exhibitors. 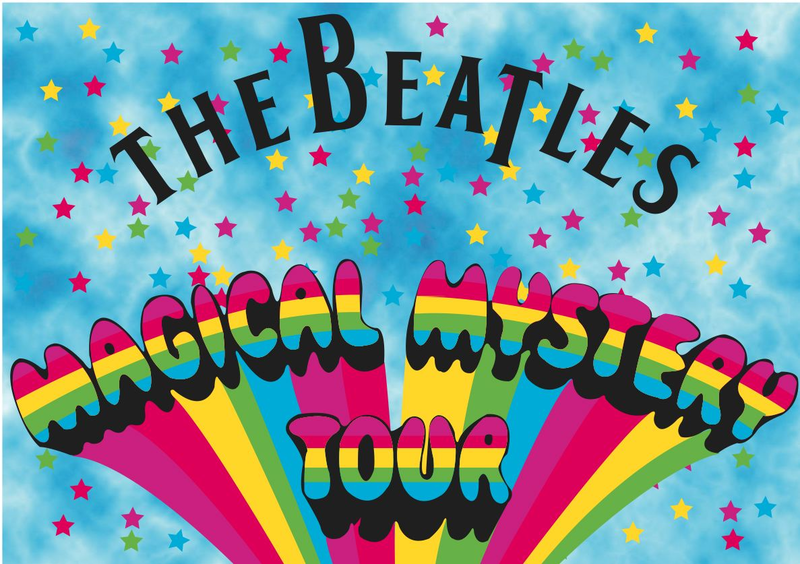 Plus you get to travel to Denver in October, a really exciting time. Will it be warm? Will there be snow on the ground? Who knows? Colleen and I are doing a rather novel thing this year; we're teaming with Bob Clarke of Profundo (Heed, Transfiguration, Trenner & Friedl and VivA) and Dan Muzquiz of Blackbird Audio Gallery in Santee, California for our room. We'll have two separate systems on display, although we will be sharing the turntable. 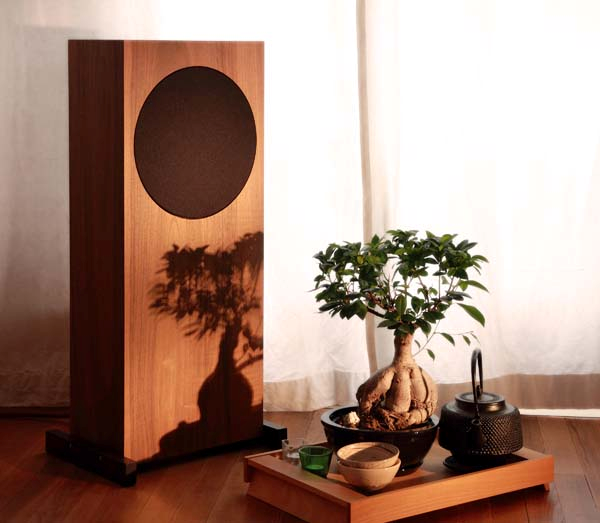 Bob will be bringing the incredible Pharaoh loudspeakers from Trenner & Friedl and a wide variety of gear from Heed Audio. 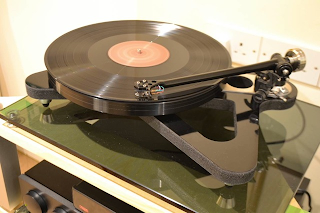 We've also mounted a Transfiguration Phoenix cartridge on our Unison Research Giro turntable, and it's making great music in my listening room as we speak. In the photo above you can see the basic Colleen Cardas Imports system. 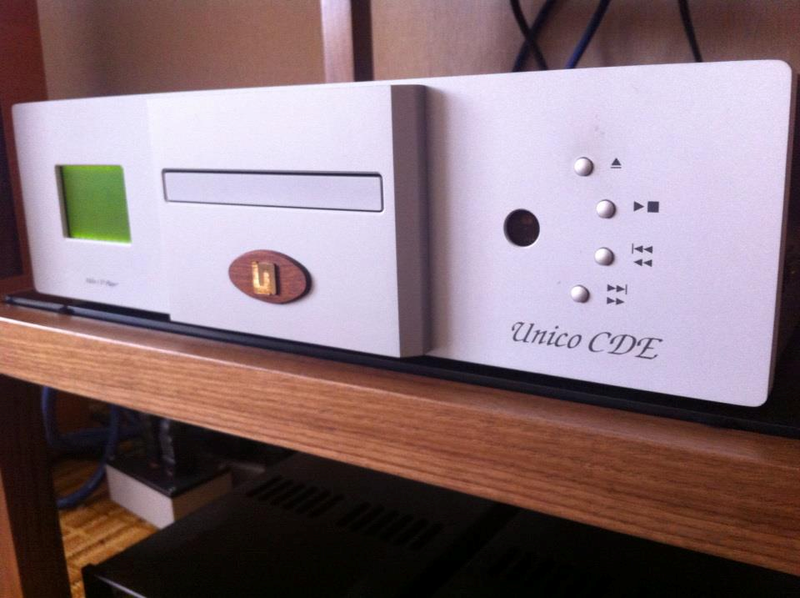 Going clockwise, we have the Unison Research Simply Italy integrated amplifier, the Unison Research Giro turntable with Transfiguration Phoenix cartridge, the PureAudio Vinyl phono preamplifier and the Unison Research CDE CD player. 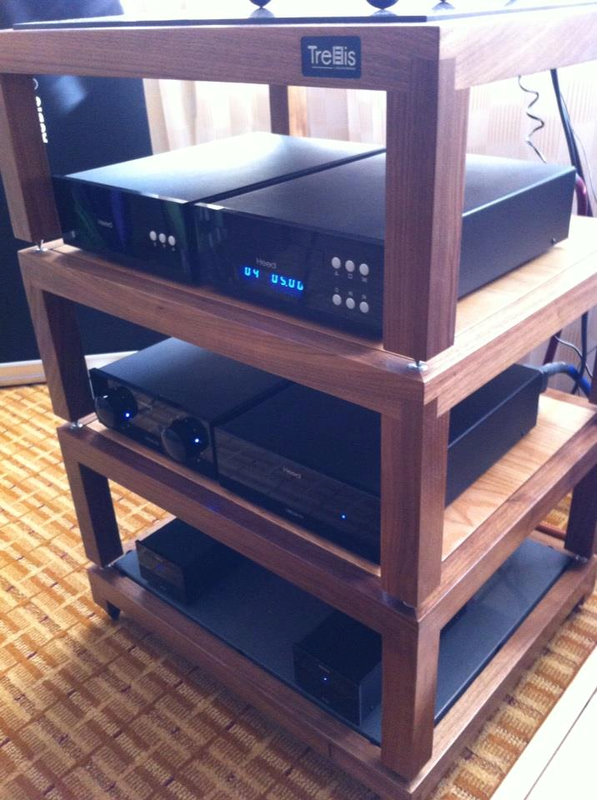 For speakers we are using the brand spanking new Opera Grand Mezza speakers. Right now I'm breaking in the very first pair out of the Opera factory in Italy; this will be the US debut. This year's RMAF will take place from October 12-14 at the Denver Marriott Tech Center Hotel in Denver, Colorado. The Blackbird Audio Gallery room, where Bob, Dan, Colleen and I will be hanging out, is located on the 11th floor in Room 1113. We hope to see you there! My Texas friends, as well as my Facebook friends, know that I'm part-owners of a liquor store/cigar lounge here in Kyle named Copper House Liquor & Cigars. My audiophile friends, once they discover this, all tend to say the same thing: "You should put a nice little sound system in your cigar room!" Colleen and I have certainly thought of that already, although we decided early NOT to put a turntable in a smoky, sometimes crowded little room. It all started with one of our Unison Research Simply Italy integrated. It was the first one in the US, the one we used at last year's CES--its American debut. From Vegas, this little amplifier went from dealer to dealer until we heard from one that said, "I think the volume knob is broken...and it's all beat up." What the hell, we said to ourselves, and arranged to have it sent back to Texas. We don't know what happened to it, but it definitely needed some TLC. And with all the scratches and dents in the powder-coated chassis, we knew we couldn't sell it as a demo. So we decided to keep it and use it as the foundation for our cigar room system. So we sent it off to one of our service centers to get a new attenuator and now we await its return to the CCI fold. The second piece of the puzzle came from Brian DiFrank of Whetstone Audio, our Unison dealer here in Austin. 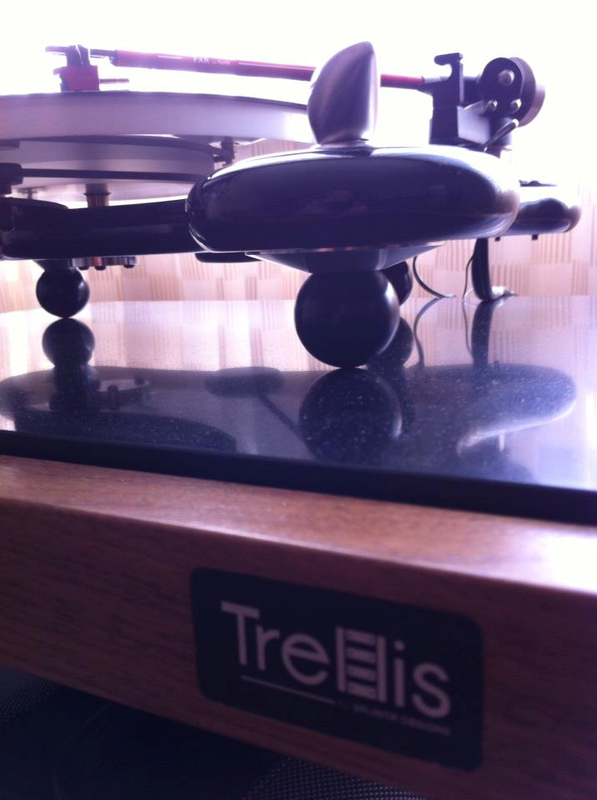 Brian had a pair of Rega RS1 speakers that had a shipping accident or two--just like the Simply Italy. He managed to have all the drivers replaced, but the cabinets were a bit banged up and one of the grills no longer stayed on the speaker. We were actually looking to purchase something affordable from Brian like the new Wharfedale Diamond 10--the cheapest speaker that Colleen and I import costs $1500 per pair--but the Diamond simply wasn't efficient enough for the 12wpc Simply Italy. The Regas, as it turns out, are 90 dB efficient, and are an excellent match for the Unison. Brain sold the RS1s to us for a song. Once we get the Simply Italy back--probably in the next week or so--we'll get the system going in the cigar lounge. I have a Denon DVD player that actually performs well as a CD player, and I have plenty of old cable sitting around (as most audiophiles do). I'll give you an update when everything is hooked up and playing music!